Something about you your teammates do not know? What do you enjoy most about being a LEO and least? Least - having to sit and watch the narrative that’s being pushed across this nation in regards to law enforcemen . ESPECIALLY when 99.9999999% of the LEO’s I know are GREAT PEOPLE. What team do you want to play most at the WS and why? Definitely Battle Born. To be the best , you’ve got to beat the best. What team gives your team the most problems and why? 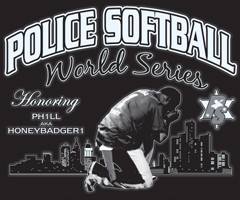 Besides you, best player in police softball who is not a teammate? Who has the best power hitter in PS besides a teammate? There’s also a guy on Mid-Atlantic Who CRUSHES the ball. I don’t know the guys name but he’s A BIG MAN! 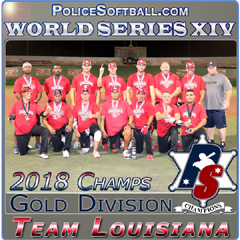 Besides your team, the best team in police softball right now? Battle Born .... top to bottom, they are solid . What do you enjoy doing the most in Vegas? Favorite spot? Definitely the Food! I’m all about Texas De Brazil or Samba . What PS player does your game resemble the most? 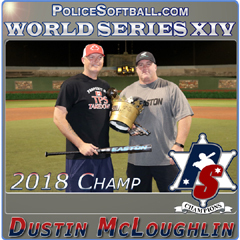 Besides your own, what PS coach would you like to play for and why? 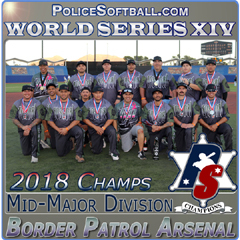 Best glove in police softball that is not on your team? I always take out my full uniform the night before . It’s something I’ve done for YEARS. Old habits are hard to break. 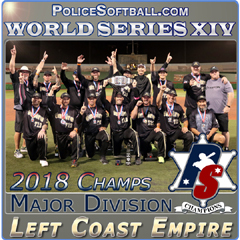 Your best moment in police softball? Truthfully I cherish every opportunity that I’m in between the lines. Having the opportunity to play a game I love with the “band of brothers” is a blessing . I’m getting old (lol), and I won’t be able to play forever , so I don’t take anything for granted. 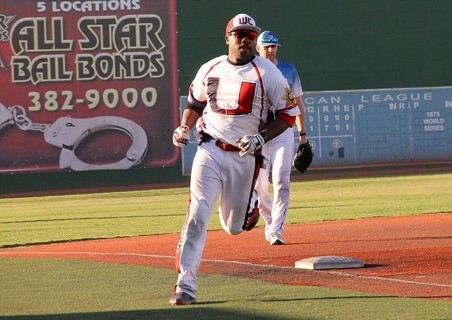 Game on the line, do you want to make the game winning play or the game winning hit? We hope you enjoyed our next 20 for 20. 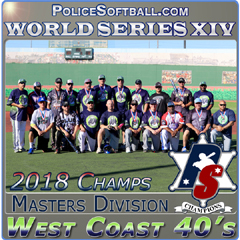 If you get a chance, be sure to watch Q and his team play at the WS. 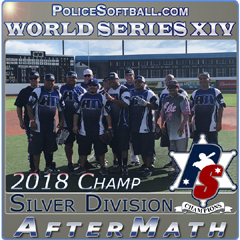 They are great mix of vets who know how to play the game and they have a good shot to be one of the last teams vying for the title.